This week, the long-awaited return of 12 Bones in South Asheville is over. The new location opens their doors on February 5, and will no doubt have a legion of fans at the door waiting to get their fill of slow cooked BBQ and fall of the bone ribs smothered in blueberry chipotle sauce. No matter what type of barbecue you prefer, this place doesn’t stick with just one - they pay homage to the various styles found all over the country. Starting this Saturday, you’re invited to a Vanderbilt House Party. Biltmore guests will experience a never-before-seen perspective of the house through “A Vanderbilt House Party: The Gilded Age” costume exhibition that runs Feb. 9 – May 27. 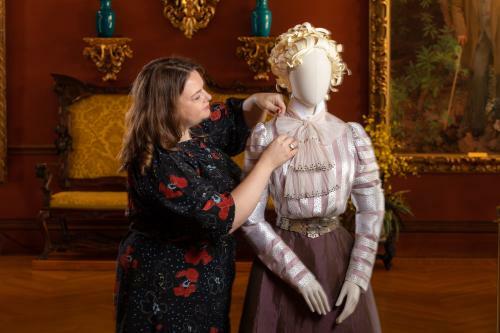 Oscar-winning costume designer John Bright has created reproductions of clothing worn by the Vanderbilts, their friends, family and employees. 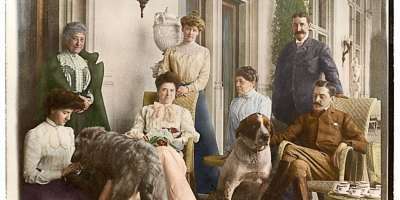 A new audio-guided tour complements the exhibition with narration based on those who lived and worked in Biltmore House. To kick off the new exhibit you can attend their Sparkling Soirée: Gilded Age Masquerade, a celebration so grand it can only be held in Biltmore’s most stunning new venue: Amherst Ballroom. On Saturday, February 9, from 8:00 p.m. – 10:00 p.m., behold live aerial performances that take full advantage of the Ballroom’s soaring 17-foot ceiling. Enjoy an evening of live entertainment, music, dancing, a photo booth, a costume contest, savory canapés, sweet petit fours, a selection of Biltmore wines, and the exclusive introduction of our new red dessert wine, Mariporta. Don a mask and choose your most elegant for this one-of-a-kind Biltmore event. 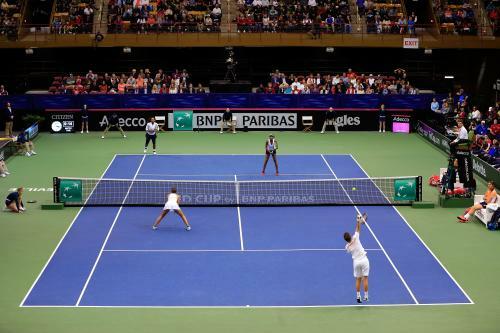 The 2019 Fed Cup, the "World Cup of Women&apos;s Tennis" makes its return to Asheville this weekend. The United States will compete against Australia in a best-of-five match series, and the winner advances to the Semifinals. It&apos;s taking place at the US Cellular Center this Saturday and Sunday, Feb 9-10, and tickets are still available on Ticketmaster and at the box office. The forecast is once again calling for warmer than average temperatures. 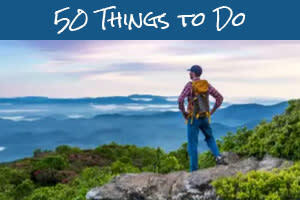 Get outside to enjoy the unseasonable warmth on a hike through the Blue Ridge Mountains. Here are 5 great winter hikes to enjoy spectacular unobstructed views. Feeling adventurous? The Greybeard Trail is another fantastic option. The trail head is in Montreat, which adjoins Black Mountain. The hike is strenuous, and long so make sure you’re prepared for a full day of hiking. The total distance is about nine miles from the parking lot to the summit and back. 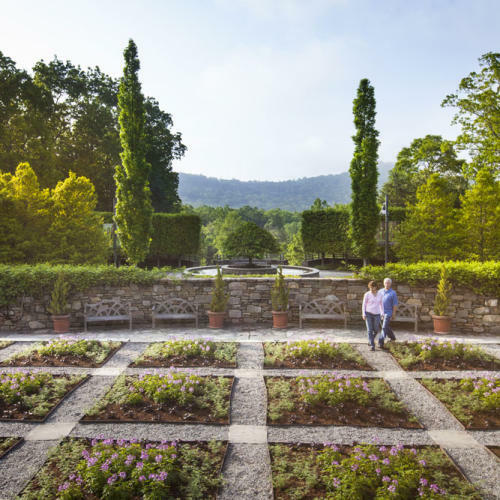 It includes a small waterfall and a sweeping views of the mountains and Swannanoa Valley. 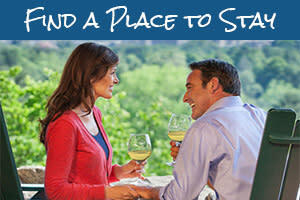 If you’re planning a trip, then be sure to check out ExploreAsheville.com&apos;s easy-to-use search feature to find out room availability and rates at Asheville area accommodations, and check events for any date by using our online events calendar search. Here’s a look at what you can enjoy this weekend in and around Asheville. Friday, Feb. 8, 9:00 p.m.
Thoreau had Walden Pond. Kerouac had Big Sur. Rayland Baxter? He had an old rubber band factory in Franklin, Kentucky, and it suited him just fine. The Alternative Country singer songwriter is bringing his unique style of Americano to the Grey Eagle this weekend. Friday, Feb. 8 – Saturday Feb. 9, 7:30 p.m. & Sunday Feb. 10, 2:30 p.m. The musical version of the 1984 hits the ACT stage beginning this weekend and running through March 3. When teenager Ren McCormack moves from Chicago to a small town, he isn’t prepared for the stifling local laws, including a ban on dancing and rock music instituted by the local preacher. As he struggles to fit in, he encourages his classmates to defy the local pastor and call for a rock’n’roll prom. With an energetic Top 40 score amplified with dynamic new songs, Footloose celebrates the wisdom of opening minds and listening to the voices of young people. Friday & Saturday, Feb. 8 - 9, 8:00 p.m. – 10:30 p.m.
Come out for two amazing nights of stand-up with nationally touring comedians! We have different lineups Friday and Saturday nights with comedians you’ve seen on Comedy Central, The Late Show with Stephen Colbert, Last Comic Standing, Conan and many more. All clean comics, all hilarious. 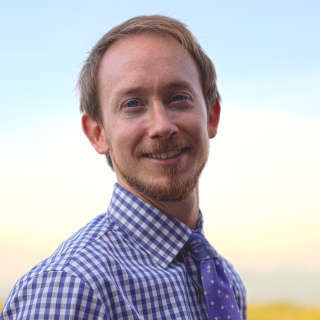 Andy Hendrickson, Mia Jackson, Michael Palascak and more will perform. Saturday, Feb. 9, 9:00 p.m.
Isis Music Hall welcomes David Bromberg, the Godfather of Americana back to their stage. You can tell a lot about a person from the company he keeps. When that company has included Bob Dylan, The Beastie Boys, George Harrison, Emmylou Harris, Doc Watson, John Hiatt, Jerry Garcia, Reverend Gary Davis, Dr. John, Pete Seeger, Willie Nelson, John Prine, Phoebe Snow, Jerry Jeff Walker, and Mississippi John Hurt, you realize you’re dealing with a very special case. It’s an all-star lineup this Sunday night at Ambrose West. 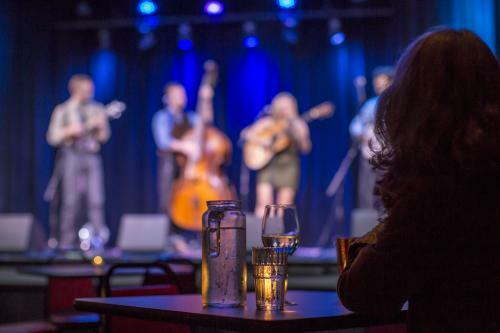 Come dance to the music of Defective Swing, Failure Is an Option, Mike Martinez (solo), Jordan Orkrend (duo), Kismet, the Secret B-Sides with Sidney Barnes, and other special guests - including the Asheville Music School youth ensembles, which opens this year’s show! Daily, Feb. 8, 9:00 a.m. – 5:00 p.m. Explore the mysteries of the dark at The North Carolina Arboretum’s new exhibit, In the Dark, on display January 26 – May 12, inside the Baker Exhibit Center. This hands-on, family-friendly exhibit delves into dark environments and the unique animals, plants and humans that adapt to areas with little to no light. Through mechanical displays, life-size animal models and informational panels, families will learn and uncover what thrives beneath the soil, under the sea, in the shadows of the night and within other dark settings. Saturday, Feb. 9, 4:00 p.m. – 7:00 p.m.
Visit Open Hearts Art Center for a popup market and opening reception in their gallery for "A Show of Love" on Saturday. The Art Center is dedicated to serving adults with a variety of challenges including developmental, mental, physical and emotional disabilities through the world of art. Saturday, Feb. 9, 10:00 a.m. - 5:00 p.m. The River Arts District will be holding gallery walks with live demonstrations, live music, wine tastings/spreads of food, and more! Meander the mile-long district and discover all there is that the “RAD” has to offer. There are more than 200 artists in the 23 buildings throughout the district. Most of them will be on hand to describe or show you their techniques as well as share with you what inspires them.